What if I tell you that “I” doesn’t exist? What if I tell you “You” don’t exist? “You” and “I” are merely products of our mind and we are larger than these terms. 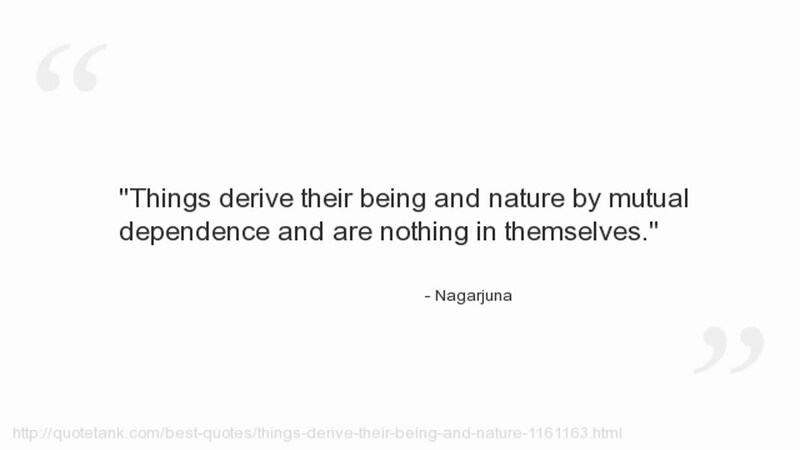 This forms the basis of Nagarjuna’s philosophy – one of the most important Buddhist philosophers after the Buddha. 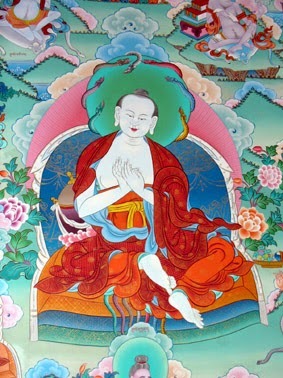 Nagarjuna lived during 150-250 AD, and is the founder of the Madhyamika philosophy (Middle-way philosophy), which is based primarily upon Nagarjuna’s commentary on the Prajnaparamita-sutras. The original sutras in Sanskrit were lost but the Tibetan and Chinese translations remain. Nagarjuna’s texts are an essential part of the Indian philosophy and are of extreme significance to the Buddhist school of thought. It’s believed that after the death of the Nagarjuna, a group of people elaborated on his texts and continued to write in the name of the Nagarjuna. This implies that beings and things have no intrinsic existence in themselves. All phenomena (form and mind) come into being because of conditions created by other phenomena. Thus, they have no existence of their own and are empty of a permanent self. We mistake the relative for the absolute. misunderstanding of absoluteness is evident with regard to our own selves. We take our conditioned existence as unconditioned and self-existent, giving rise to a false sense of “I”. All the conditioned thoughts are empty thoughts because in the larger scheme of universe they do not have an inherent existence, for example, ego, pride, superior, inferior etc. When one realises that they are beyond the conditioned and unconditioned, one becomes free from all the qualifications and distinctions. The realisation of sunyata leads one to no attachment and clinging. It is the skilful means towards enlightenment. Nothing is absolute. The streams of the river dislocate the stones. The shiny pebbles at the seashore were gigantic rocks once, and that’s the beauty of life ultimately. We all are on a journey to nothingness. Because we cling to them as if they were lasting and substantial, suffering becomes the inescapable outcome. The idea is to not cling but live and ignorance of this knowledge causes suffering. Nagarjuna in his four noble truth theory explained that there is an end to this suffering. We are aware of the unconditioned reality, the truth, and hence we should seek to liberate ourselves from the continuous chain of thoughts that keep us in this vicious cycle. Liberate our soul from the expectations and manipulations of our mind. If you think about ignorance, it is the knowledge that we take for granted. And, hence, the false conscious seduces us. Due to which we take things like ego seriously. One who has faith, who diligently seeks the ultimate, not relying upon any demonstrated factor, inclined to subject the way of the world to reason, abandoning being and non-being (attains) peace.